Something evil is lurking under the ground in Diana' s Grove. Summoned by his great-uncle, Richard Salton, Adam Salton travels to Lesser Hill, Mercia, only to find himself surrounded by evil. Be it the Castra Regis' s mesmeric assault on Lilla Watford, a child' s mysterious wounds, the lady Arabella March' s murder of Oolanga, or the terrifying white worm that dwells in a pit in Arabella' s house, Adam must work quickly to save himself and the other inhabitants of the area. 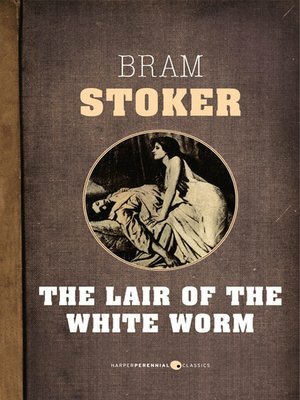 Also known as The Garden of Evil, The Lair of the White Worm was originally published in 1911, just one year before Bram Stoker' s death. It has been adapted for film.